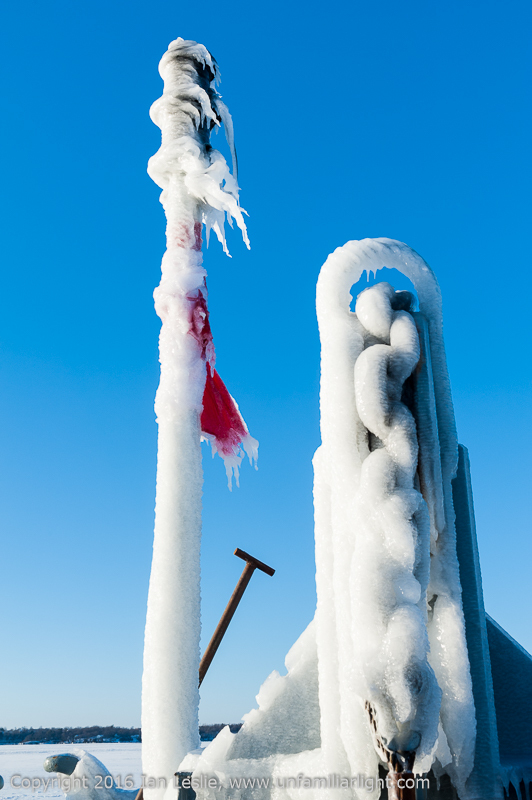 This Valentine’s day the RA Photo Club organized a trip to Wolfe Island (near Kingston). Nearly twenty of us were up well before dawn and on the road by 0600 for the trip to the ferry. 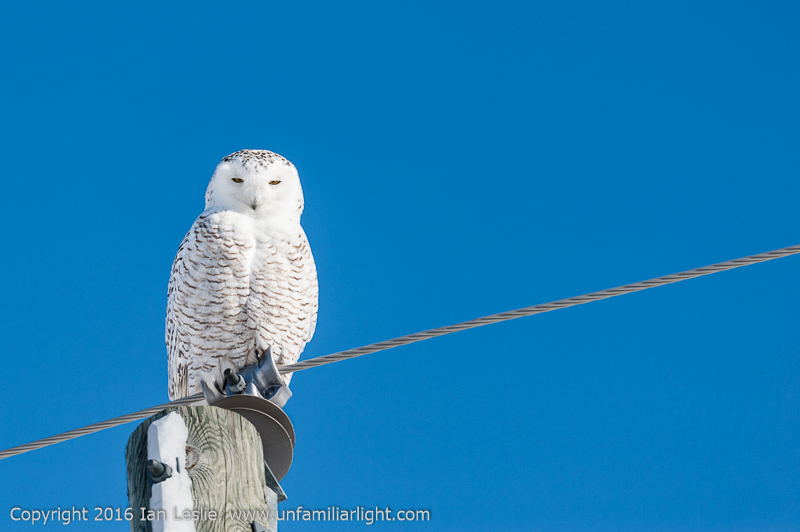 We spent a very productive morning moving around the western part of the island we saw many snowy owls and stopped to photograph each one. 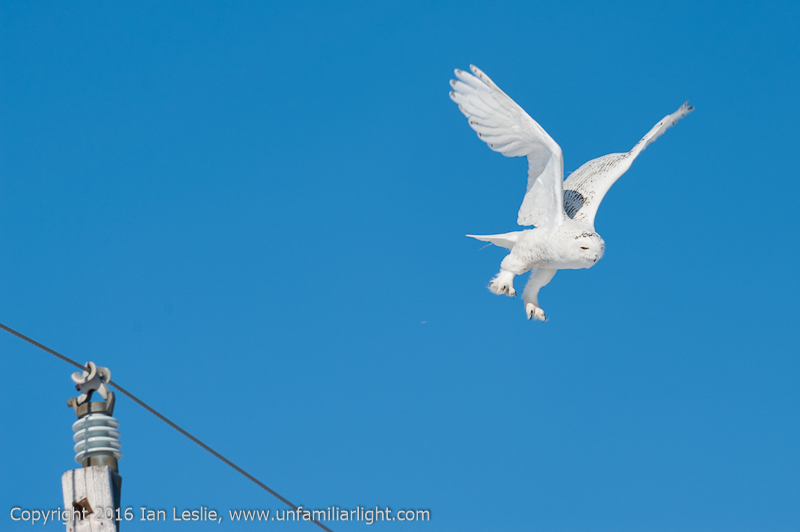 I lost count of the number of snowy owls we saw. After stopping for lunch we headed east. 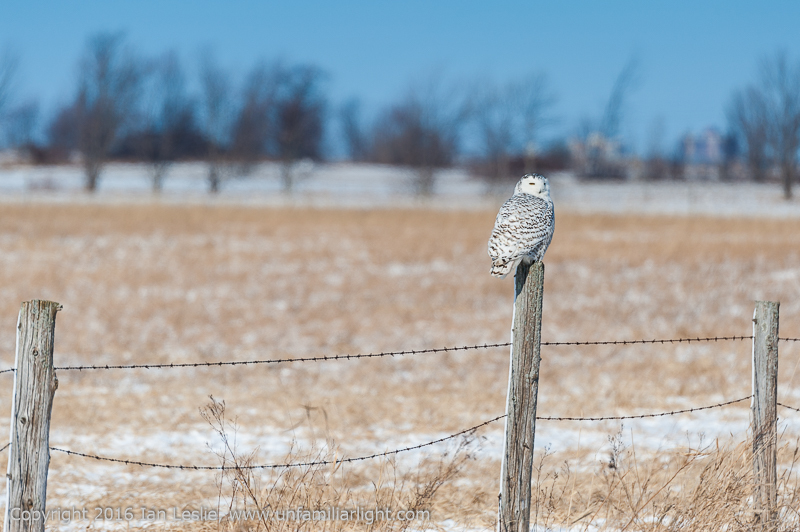 A few of us were separated from the main group and we did not see any more Snowy Owls but we did see some deer and various hawks. 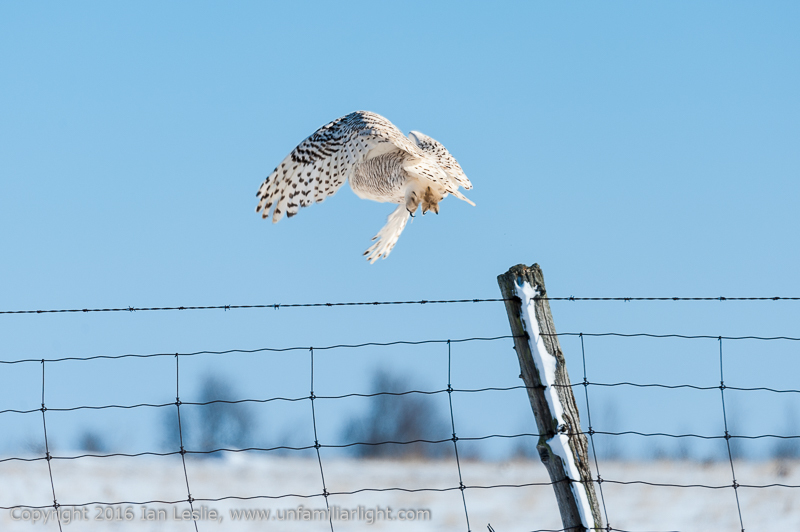 Unfortunately neither the deer nor the hawks were as accommodating as the Snowy Owls were from the morning. 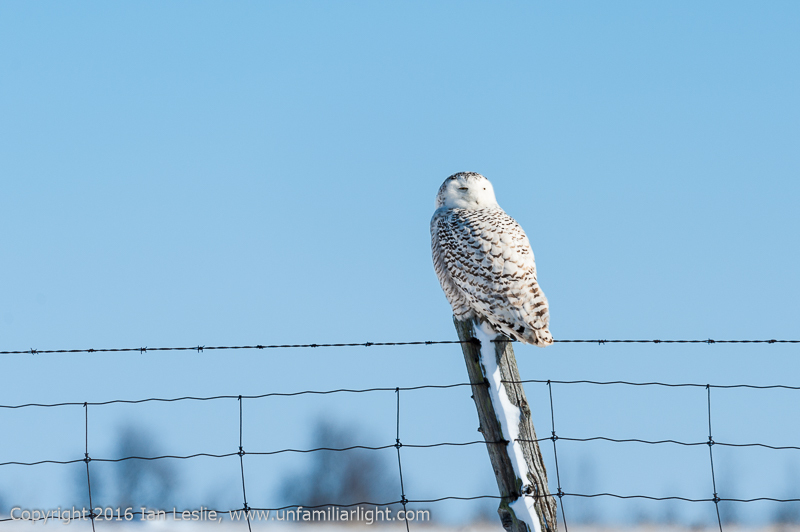 Several times during the morning an owl would sit for a while with us taking its picture and then it would fly a short distance away. 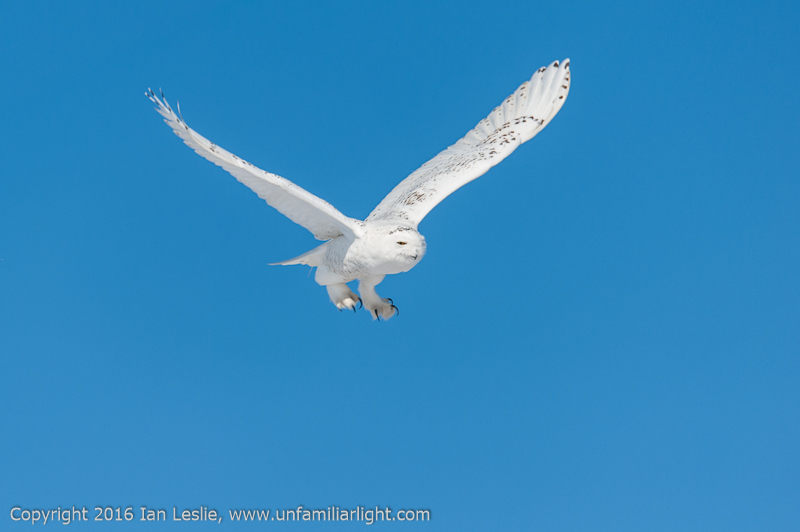 We would regroup and it would eventually fly back to its original perch. 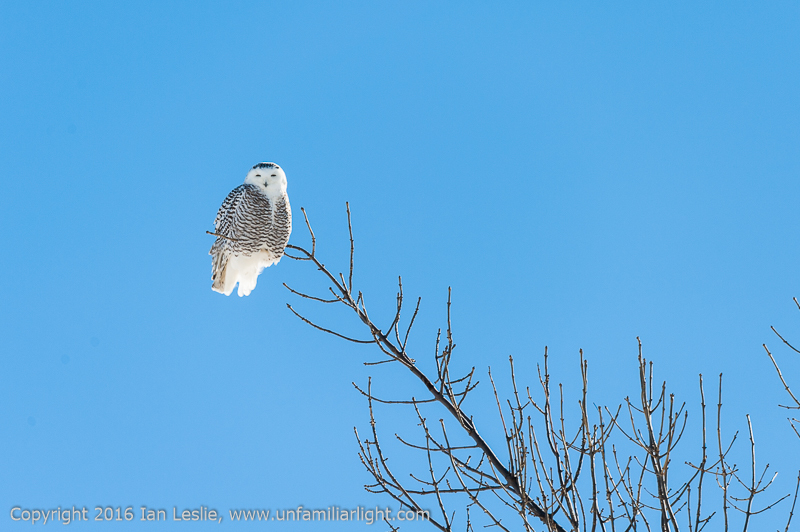 A few of the owls did not want anything to do with us and just flew away as soon as we stopped our cars but most of the owls were quite content to watch us watching them. 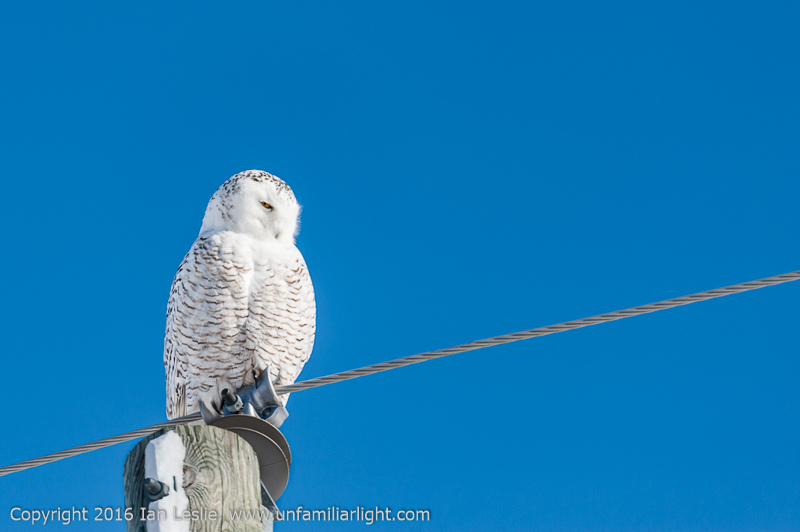 The weather was very cold but for some reason there was nearly no wind. That made all the difference, that and the fact that we were very well bundled up meant for as comfortable a winter outing as can be expected. It was well worth the trip. 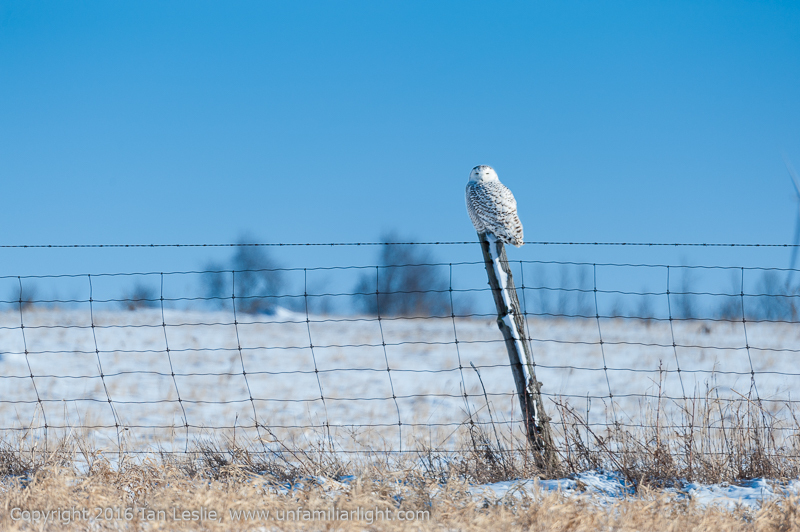 This is the view form the other side of the Snowy Owl I was photographing. We sometimes blocked the road but luckily there was very little traffic. I only had to call “CAR” twice all day. 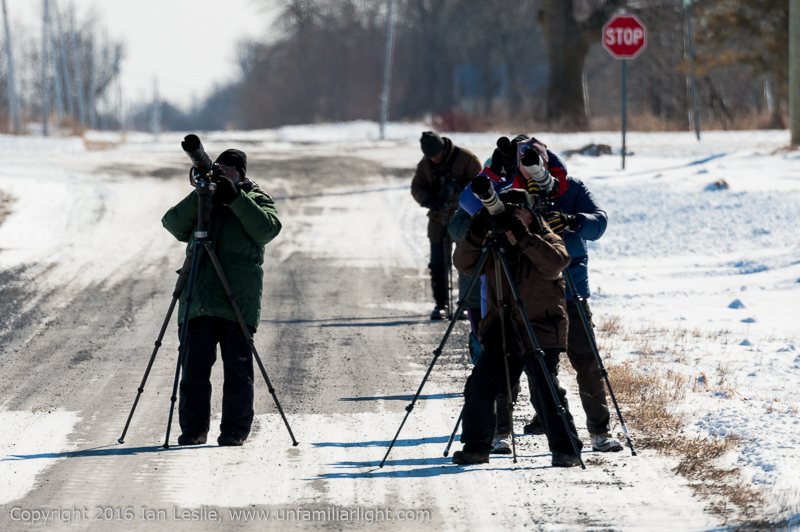 This is the group photographing the owl sitting in a tree. 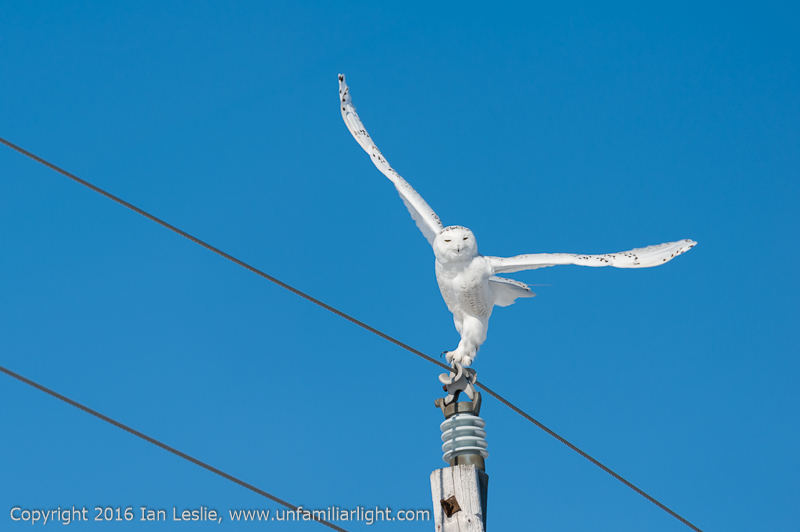 We were in the last car and were a bit behind the group so when we caught up the owl had just flown away from the trees and the group followed her to the hydro pole up the road. 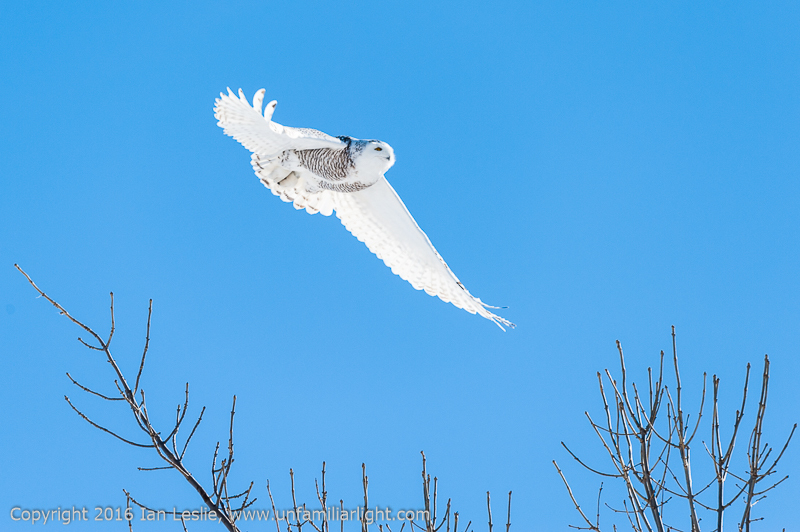 We just stayed and watched and sure enough she left her pole and flew back to the trees were we were setup and waiting.